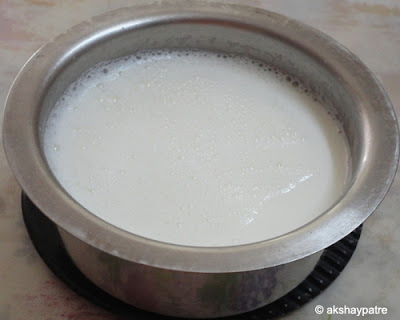 How to make yogurt at home - Today I have come up with easy method of making yogurt at home. Yogurt or curd is one such essential item that I need everyday. 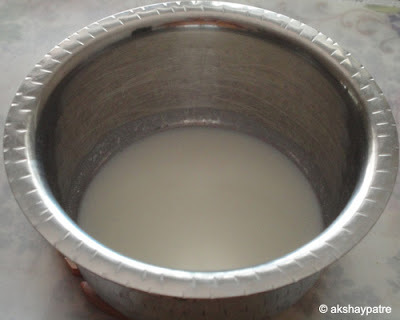 I make yogurt to churn buttermilk which we need compulsorily with every meal. We also eat small amount of curd rice in the last round of the meal. Yogurt is superior to milk as it is in a predigested form and more easily assimilated. Conversion of milk to yogurt increases the digestibility, palatability and nutritive value. Yogurt helps to boost the immune system and assist in digestion. Yogurt is a rich source of protein, calcium, vitamin D, vitamin B6, and vitamin B12. Despite its health benefits, it is also used to make varieties of raitas to serve as a side dish. Among them cucumber raita, beetroot raita, onion raita, pineapple raita and boondi raita are very famous. Buttermilk or chaas or taak is a fabulous drink served in the last round of the meal which is easily digestible. Besides this, varieties of lassis are prepared and served as a dessert or refreshing drink. 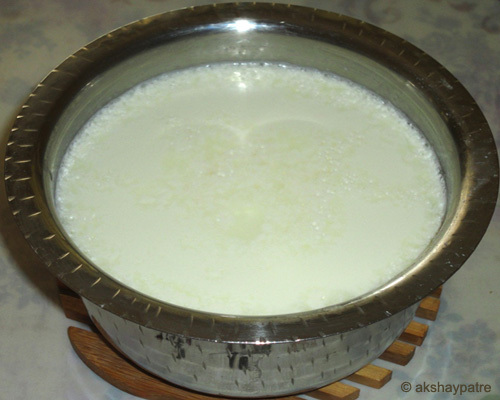 Curd rice or mosaranna is also very popular in Southern part of India. Uses and benefits of yogurt are many. Hence, yogurt should be added to the diet. 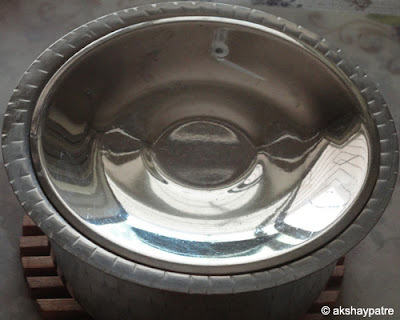 Boil the milk and keep it aside till it becomes lukewarm. 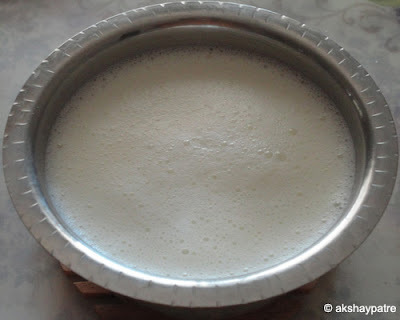 Remove the cream or malai formed on the surface. Pour 4 tsp of curd in another stainless steel vessel. First add 3 - 4 tbsp of milk and mix well. Then pour the remaining lukewarm milk in it. Mix well with a spoon till curd and milk combine well. Cover the vessel with lid and keep it aside for about 3 hours in a warm place. Don't disturb the milk in the vessel by moving the vessel too rapidly. When the thick yogurt forms, keep the vessel in refrigerator so that the curd doesn't become sour. For quick and effective curdling, use lukewarm milk. Time for preparation of curd varies depending upon the atmosphere. During summer milk curdles fast and the curd is ready within a couple of hours, however, during winter it takes little bit of more time. 1. Boil the milk and keep it aside till it becomes lukewarm. 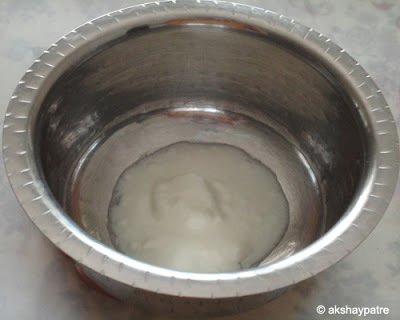 Remove the cream or malai formed on the surface. 2. Pour 4 tsp of curd in another stainless steel vessel. 3. First, add 3 - 4 tbsp of milk and mix well. 4. Then pour the remaining lukewarm milk in it. Mix well with a spoon till curd and milk combine well. 5. Cover the vessel with lid and keep it aside for about 3 hours in a warm place. Don't disturb the milk in the vessel by moving the vessel too rapidly. 6. When the thick curd forms, keep the vessel in refrigerator so that the curd doesn't become sour. 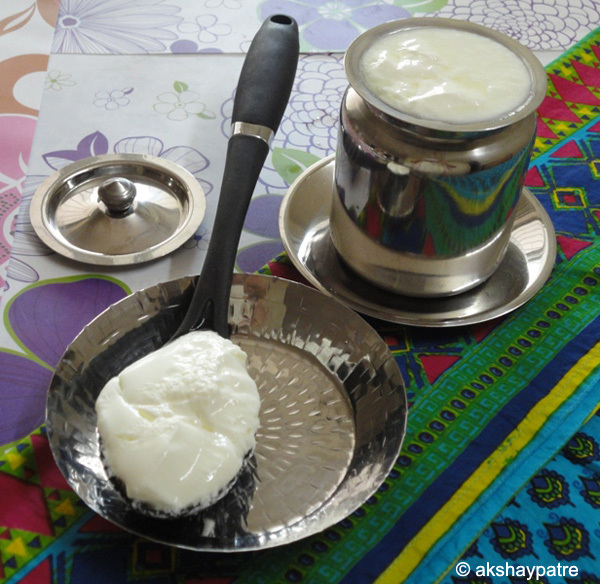 This curd or yogurt can be used to prepare lassi, curd rice, butter milk etc.